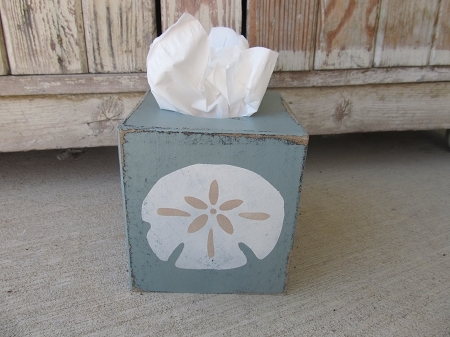 Nautical Beach Coastal Sand Dollar Hand Painted Tissue Box Cover. Love this beautiful sea blue color. I've painted the entire tissue box this Agave color. Painted on a white sand dollar and distressed the entire piece for a rustic beach look. 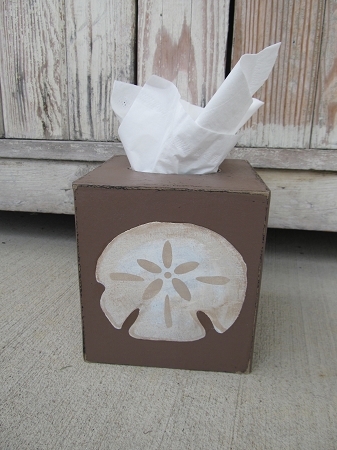 Size is 5"x5"x5" and covers a boutique style tissue box. Hand painted, designed and signed by Heidi.